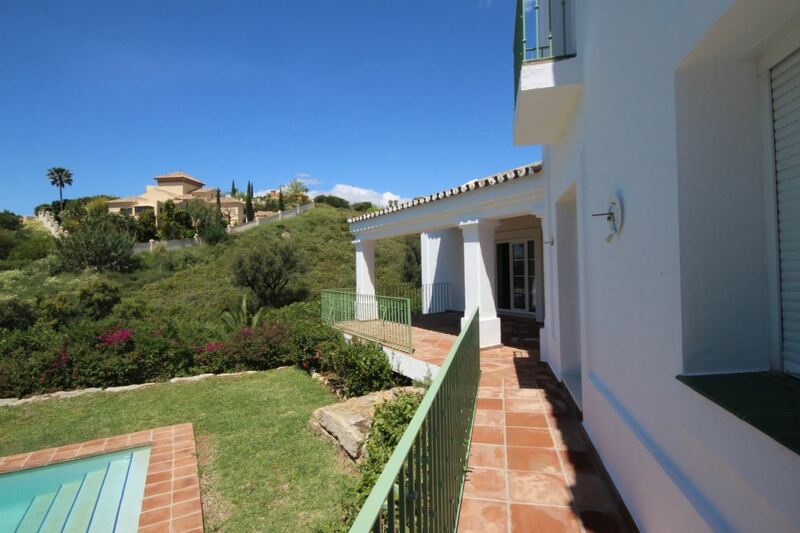 Spacious Mediterranean villa for rent in Las Cumbres de Elviria with private garden and swimming pool. South west orientated with sea views from the main bedroom. Equipped with a fully fitted kitchen with laundry room, living room, dinning room and 4 bedrooms with ensuite bathrooms and fitted wardrobes. Living room has direct access to a covert from terrace with views to the garden and the pool, perfect to spend your time with family and friends. The basement has a covert area for 2 cars and space for more. It has a large private swimming pool and its spacious garden is easy to maintain.